D-Color - Change your desktop icons to your liking ~ Android Forever! No longer do you have to sit back and take whatever Windows serves up! 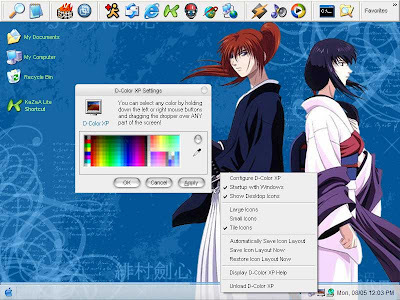 Now, you can take charge of the look and feel of your desktop icons with D-Color. From the web site: "D-Color allows you to change the appearance of the desktop icon text foreground and background colors. It also allows you to change the view of your desktop icons from Large, Small, and Tile view icons."